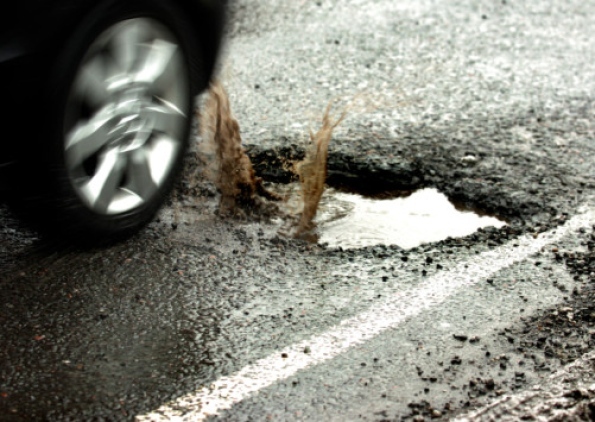 LEEDS has been awarded almost £1m from a new Government cash pot to help repair roads damaged by recent severe weather – and rid the city of the blight of potholes. The money is part of a £10.3m fund for Yorkshire authorities, which has been made available to help with much needed road repairs following the wettest winter on record. Transport Secretary Patrick McLoughlin said: “Damage to roads causes misery for drivers and local communities and the severe weather over the last few months has made the problem worse. Leeds will receive £949,426 of funding from the new fund. Wakefield will be handed £487,955 and Kirklees will get £606,663. This entry was posted in Highways and Transport and tagged Leeds, repair roads. Bookmark the permalink.